Susan Murray is the Senior Vice President of The Queen's Health Systems, West O'ahu Region, and Chief Operating Officer of The Queen's Medical Center (QMC) - West O'ahu. After working at hospitals in Hawai'i, Louisiana and Tennessee, Susan joined The Queen's Health Systems to renovate, open and lead The Queen's Medical Center - West O'ahu. Since the medical center opened in 2014, Susan has provided additional services and completed a campus master plan to accommodate the rapid growth that QMC - West O'ahu has experienced. Susan is active in the West O'ahu community partnering with businesses, schools, and other organizations to build a strong and healthy community. 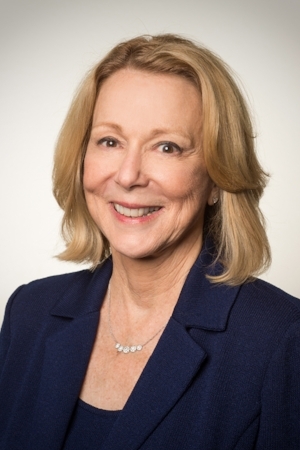 She currently serves on the Board of Directors for the March of Dimes, the First Presbyterian Church, and has previously served on the boards of Manoa Valley Theatre, Healthcare Association of Hawai'i, and Nashville's YWCA. What types of qualities make a good leader? A good leader has a clear vision of what she wants to accomplish and goals for success; good communication to motivate and inspire others and the ability to build a team as well as be a good team player. What has helped you become a more effective leader? Wonderful people surrounding me has helped me become a more effective leader. Also, being given opportunities outside my comfort zone. Ongoing professional education and learning is also key. Name a woman leader who inspires you and explain why. Jan Head, who was my mentor and boss for 5 years when I was at Kaiser. She was selfless, giving, and intentional about growing others professionally and by giving me projects outside my comfort zone. She also led a balanced life, which I have difficulty doing. What’s one of the best pieces of advice you’ve ever received? One of my mentors gave me a plaque with a quote by Goethe, “What you can do, or dream, you can begin it. Boldness has genius, power and magic in it.” That is the best advice. As a woman leader, what can you advise others to do to help each other or help the next generation of women leaders? Everyone should craft their own development plan and share it with their boss. If you are the boss, help provide opportunities to prepare others for their next step. One of my favorite parts of leadership is to watch people grow and succeed. It is an important activity and worth your time and intention. LeaderLuncheon honors women for the contributions they have made to their professions and in their community. Join us in supporting Hawaii’s commitment to the advancement of women leaders by attending the 2017 LeaderLuncheon. To purchase tickets or for more information, call 695-2620 or click on the button below.